Ecologist Ellis Silver says…hang on. Who? Anyone can call themselves an ecologist, so it’s strange that when I tried to find out who this guy is, no one is saying. Try it. Google the phrase “ecologist Ellis Silver, and that association is everywhere — some even refer to him as “leading ecologist” or “important ecologist” — and many also call him “Professor Silver”. “Professor” implies a university affiliation, but they never bother to state where he’s employed as a professor. It’s a mystery. This cipher of a human being is saying something, as I was about to mention: he’s claiming that he has scientific evidence that humans are actually from another planet, and he’s written a book about it, titled Humans are not from Earth: a scientific evaluation of the evidence . Oooh, provocative. And best of all, if you are subscribed to Kindle Unlimited, it can be read for free! So I did. You are not surprised, I can tell. It’s full of really bad arguments: we are not native to earth because we get sunburns and bad backs, for instance. But essentially every creature on the planet avoids excessive exposure to solar radiation, except the ones that live in caves or the deep sea, and lots of creatures exhibit aging-related disorders — dinosaurs included. Are we to conclude, then, that every species on the planet, from flatworm to elephant, was brought here by aliens? That argument contradicts another one that I’ll focus on: he claims that there is molecular evidence to show that humans are not related to the other animals on Earth. That is just the most amazing gobbledygook. I was sitting there throwing red flags frenziedly as I read that…and it’s not an exceptional paragraph. The whole book is this bad. It is true that there are sequences in the human genome that are not identified as homologous to sequences in other species. They’re called ORFANs. ORFANs are chunks of DNA that are picked up by gene recognition software because they have the standard starting sequence of a gene, and then go on for a significant length (300 base pairs or more) before they are terminated by a stop codon, but that have an internal sequence that doesn’t match anything else in the databases. This is somewhat equivalent to saying that your sentence recognition software, which looks for a capital letter at the beginning and a period at the end, sometimes finds “sentences” in strings of random letters that don’t make any sense. It is totally unsurprising. Biologists aren’t surprised at all by them. We have multiple explanations that don’t involve aliens making transgenic monkey men. Ian Musgrave has the explanations. Some are artifacts — as I said, if you’re just looking for starting and ending punctuation, purely by chance you’re going to find strings that match your criteria in a random collection of letters. Some are genes that have undergone so many substitions that they’re no longer recognizable as the original sequence. Those would be especially interesting in an evolutionary sense, I would think, but they’re rare. Some are products of horizontal gene transfer. We don’t need aliens to inject us with strange DNA, viruses do it naturally. Some really are novel functional genes, like for instance nylonase. But again, we don’t need an alien to inject us with them, but can recover function from random sequences, or chimeric genes produced by accidental fusions of other genes. So when Ellis Silver asks where the heck did they come from, I have to say that if he’d had even a minimally competent bit of instruction in basic genetics and molecular biology, he’d already know. He’d also know that that number, 223, is not fixed. As we increase our knowledge by sequencing other genomes, we find more homologies — a lot of people argue that even a few hundred genes inserted by horizontal gene transfer is a gross exaggeration, and as more data accumulates, that number keeps going down. The overwhelming majority of ORFans are simply artifacts, random occurences in the long concatenation of sloppily assembled nucleotides in our genome. And no, I don’t mean artifacts in the archaeological sense. But even if they weren’t erroneously flagged random sequences, ORFANs don’t support the thesis of alien transgenic experiments. For one, every species, not just humans, have ORFANs. For another, why is Ellis Silver focused on a tiny number of genes with no known function, rather than the 20,000 that do show homology with other species, and clearly tie us to an Earthly origin? 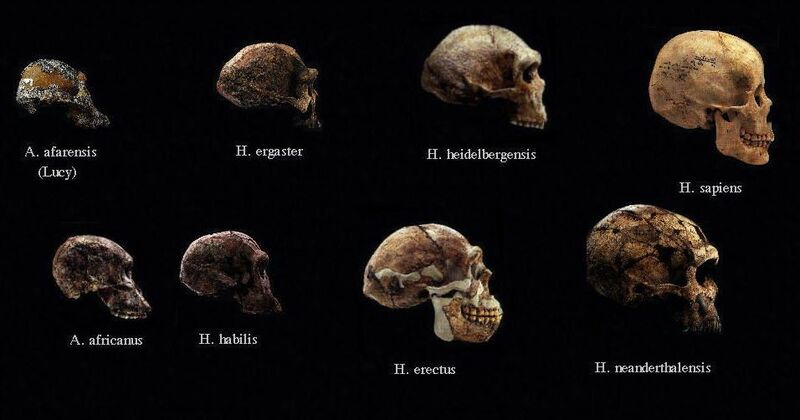 As long as I’m wondering who Ellis Silver is, I’d also like to tag a few specific names onto some geneticists …you know, the some geneticists vaguely referred to as claiming that ORFANs are alien DNA spliced into Homo erectus. I’ve known a few geneticists in my time, and I don’t know of any who wouldn’t double over in laughter at that hypothesis. Silver’s book doesn’t cite any. I suspect that these geneticists are as nebulous as the aliens Silver wants us to believe in. I don’t actually believe in Ellis Silver, either. In his book, he claims to be an environmentalist and ecologist from Wisconsin who now divides his time between Texas and England, and that he is the co-founder of Silver Seas marine biology research park. No such park seems to exist. There is a Silversea cruise line, but that’s as close as we get…and Ellis Silver was not one of the founders. He also claims to be an environmental consultant to a number of major corporations , none named, which is a bit disturbing — this guy knows so little about biology that he shouldn’t be advising anyone on the subject.